Free Pattern: The Folly Reversible Jumper! Today I’m introducing you to the Folly Reversible Jumper, a free pattern! The Folly is named after a place from my home town, Folly Beach. It would be the perfect little dress to throw on to head to the beach but can just as easily layered in the colder months (or in colder places). This is a very simple dress to put together and it has a very basic in design. This allows for unlimited customization options! Add an applique (as I have done for this version) or ruffles and ribbon, or pockets. You could finish off the edge with bias tape for a pop of color around the edges. I can’t wait to see where everyone’s creativity takes this pattern! So head on over to Craftsy (Etsy, unfortunately, doesn’t allow listings for free patterns so I went with Craftsy on this one!) and grab a copy! Last thing, tomorrow, I will be posting the pumpkin applique that I made for this version along with a quick tutorial! And soon, I’ll show you the applique on the other side (the toddler wasn’t listening for photo shoots again haha) and put up a little tutorial for that one as well. Spoilers: the one on the other side is a Christmas tree. I’ll leave you with the page of the sizing chart and fabric yardage requirements! Have a great Tuesday! It’s the last day of the blog tour! And our fabulous last day blog is AmandaRose! Amanda of AmandaRose makes very cool things for her children. She has a very full tutorial section and I particularly love her projects with her girls that she does. Today she is showing off this very awesome version of the Emerson Dress! Head on over to her blog to see more pictures and here what she has to say about the Emerson Dress! Thank you for joining in on this blog tour! I had so much fun putting it together and seeing all the wonderful things that everyone created! Hope everyone has a great weekend! Good morning everyone!! And welcome to day four of the blog tour! Today we have two awesome bloggers, Made by Sarah and Rebel and Malice. First, let me introduce you to Sarah of Made by Sarah. She makes the most adorable things for her little girl. The Emerson Dress is made is floaty and soft! Hop on over there and see what she made and read more about it! And out second stop of the day is over to see what Melissa from Rebel and Malice has created! She is a SAHM who sews for the 3 girls (and sometimes her son). The things she creates have a unique, vintage rocker edge to them and her beautiful version of the Emerson Dress is no exception! Head on over to her blog to hear even more about what she created! Today we are headed over to Britches N Bloomers! Amy’s blog is relatively new (a lot like mine!) and over there, she makes charming and classic things for her little girls. The Emerson Dress she created is no exception! Head on over to here more about what she made! The fun is only half way through! We still have three more seamstresses working their magic tomorrow and Friday!! See you back here tomorrow! Today we are going over to Srouting Jube Jube!! Deb has an awesome blog full of very hip handmade things! She made this very beautiful, fashion forward version of the Emerson Dress! Emerson Dress Blog Tour Day 1, Part 2! And as promised, here is Alicia from Felt With Love Designs! Felt With Love Designs is a blog filled with all kinds of cool things, from refashions, to sewing, to felt project and art! For the blog tour, she made a very cool Emerson dress using flannel! Head on over and check it out! And if you misses this morning, don’t forget to check out Giggles and Bean’s post. Emerson Dress Blog Tour Day 1! Today, we are touring two bloggers! Shelly from Giggles and Beans is up first! Shelly makes some very beautiful things for her little girls. She has an awesome tutorial section on her blog and also runs a fabric shop, So Tweet Fabric on Etsy! For the blog tour, she made this gorgeous, soft, sweet version for her little girl. Pop over to her blog to read more about it! Check back this afternoon for our second blogger on the tour! 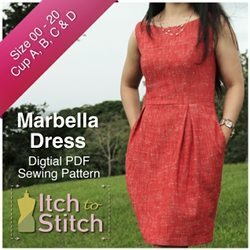 The Emerson Dress Pattern is going on tour, a blog tour! I have some very awesome ladies on board sewing up the Emerson Dress! Check out these awesome blogs and come back on Monday for the beginning of the blog tour to see the beautiful dresses that everyone made! Everyone check out this awesome version of the Emerson Dress sewn by one of the pattern testers, Max California! Head on over to Max California to and check it out!